Vampire Beauties: Vampiress Review: "Dracula Reborn"
The Gist: A group of journalists trek around Europe trying to get inside information on a cult of vampires lead by Dracula. Clarification: Not to be confused with the other film of the same name I've previously reviewed, this one is pretty corny to say the least (not that the other one wasn't). The bulk of the film is really skinny supermodel looking women smoking cigarettes while having conversations with one another and typing on computers. When they're not doing that they're walking around either Paris or Transylvania. When I say little else happens in the film, that is not an understatement at all. Vampires in the universe this film takes place in are real and it's well known that they exist and considered a menace. 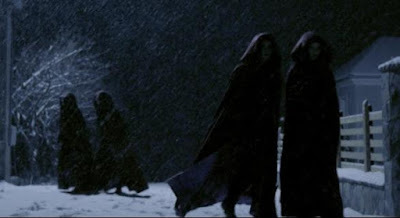 The main vampire of the film would stand out like a sore thumb in society since he looks like a less deformed Nosferatu in a Dracula costume but much like Nosferatu he only moves around in the shadows. Female Vampire Factor: There are female members of Dracula's cult but the cult members are never seen without their hooded cloaks when they attack in the film so you can't tell if they're male or female during those specific scenes. You only know about the female members toward the end during the many, many, many long scenes of people walking with nothing else happening. 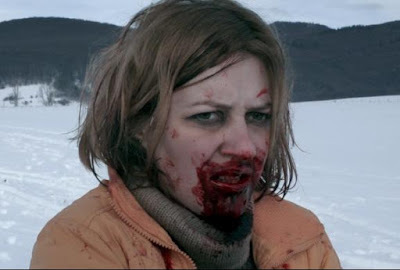 Other than that the only other female vampire in the film comes in the form of a video the journalists uncover from the deep web of a woman roaming the country side finding farm animals to feed on. (SPOILER) As for the question of do the supermodel looking women get turned in the film. The answer is we don't find out. They do get captured and bitten by Dracula but the film literally just ends after the last one is captured. Even though they're all taken back to the cult after they're bitten they didn't bother to fill us in as to what happens after they're captured. Probably not enough time since the walking and smoking parts where much more important. 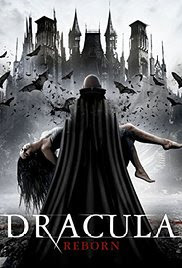 I give the film a Vampire Beauty Rating of 1 out of 5.